A number of Philly fighters had a good 2014. However, Bryant Jennings jumped up a level, won two high-profile bouts (both at Madison Square Garden and on HBO) and secured a guaranteed shot at the world heavyweight championship. His work in 2014 validated his already rapid climb as a professional heavyweight, and established Jennings a real contender. 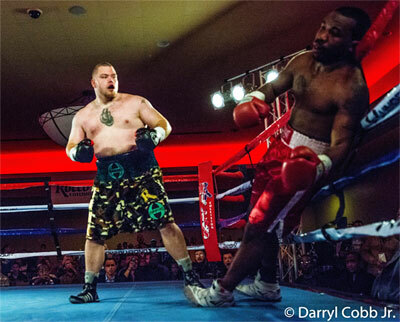 In January, Jennings answered the call against Artur Szpilka, another undefeated rising heavyweight. It was Jennings' toughest test to date and on the biggest platform the Philadelphian had ever seen. Jennings proved his skill and toughness in the fight, but it was his show-closing, final-round TKO of Szpilka that made the statement that Jennings had arrived. Bryant followed this fight with a July meeting with unbeaten slick southpaw Mike Perez. The 12-rounder offered the winner a guaranteed shot at the WBC champion, which upped the stakes considerably. It was a nip-and-tuck battle with Perez establishing the edge over the first half and Jennings rallying in the final six rounds. At the end, the bout was as close as could be, but Jennings won a razor-thin split decision, and became the #1 WBC contender. The moment Steve Cunningham climbed off the canvas (for the second time) at North Philly's Liacouras Center, his fight with Amir Mansour became a contender for the "2014 Philly Fight of the Year". Once the final bell sounded, it was immediately clear that no other fight would likely top Cunningham vs. Mansour for best fight honors for the year. However, it was only April, so we had to see how the rest of 2014 played out. There were other good battles still to come. Curtis Stevens vs. Tureano Johnson, Decarlo Perez vs. Tyrone Brunson and Steve Cunningham vs. Natu Visinia were good enough to earn nominations. However, none of them could touch the excitement, drama, and inspiration of the front runner. The fight was the classic boxer-puncher match up. Mansour started aggressively and won the first two rounds with a steady attack of bombs. Cunningham countered in the next two rounds to pull the fight even on the scorecards. 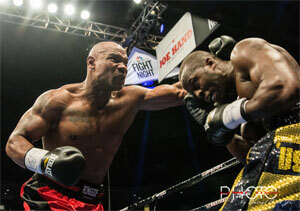 In round five, Cunningham looked comfortable, jabbing and boxing and taking control of the fight. However, as the round wound down, Mansour let fly a pair of right hooks that that landed hard and dropped Cunningham to the floor. Steve got up, but Mansour met him with a storm of punches. 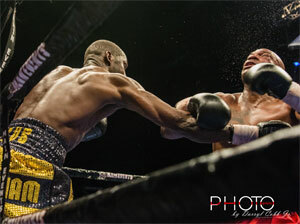 Another right hook violently knocked Cunningham again to the canvas. At that moment, the fight looked like it was over, but Cunningham wasn't finished yet. Steve made it to his feet, was perhaps saved by the bell, and returned to his corner with a major problem on his hands. Trainer Naazim Richardson kept his cool and offered his instruction for Steve's survival. Cut man Buddy Osborn controlled Cunningham's bleeding eye, which had opened in round two. Cunningham caught his breath and answered the bell for round six. Cunningham started the sixth carefully, but by the end of the round had completely cleared his head and reestablished his fight plan. For the rest of the fight, Cunningham boxed beautifully while Mansour tried to land a fight-ending bomb. The fight went the full 10-round distance and Cunningham escaped with a close decision and Mansour's USBA heavyweight championship. Cunningham vs. Mansour was an instant classic and thus was an easy choice (and landslide vote) for the "2014 Philly Fight of the Year". 1) Curtis Stevens TKO10 Tureano Johnson, April 04, 2014 at the Liacouras Center, North Philly, promoted by Main Events & Peltz Boxing. 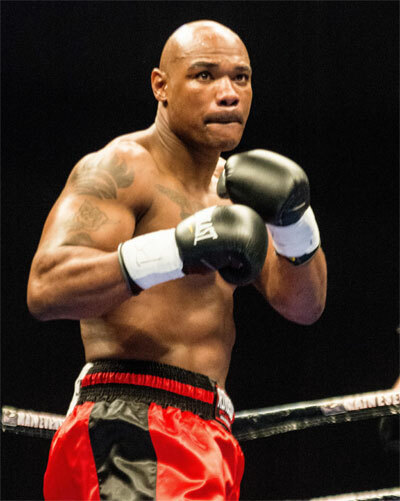 2) Decarlo Perez TKO5 Tyrone Brunson, October 18, 2014 at the 2300 Arena, South Philly, promoted by Main Events, Peltz Boxing & BAM Boxing. 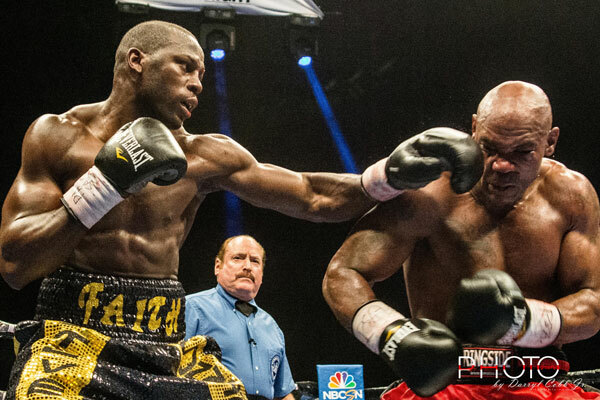 3) Steve Cunningham TKO7 Natu Visinia, October 18, 2014 at the 2300 Arena, South Philly, promoted by Main Events, Peltz Boxing & BAM Boxing. Steve Cunningham led the pack when it came to quality performances in 2014. 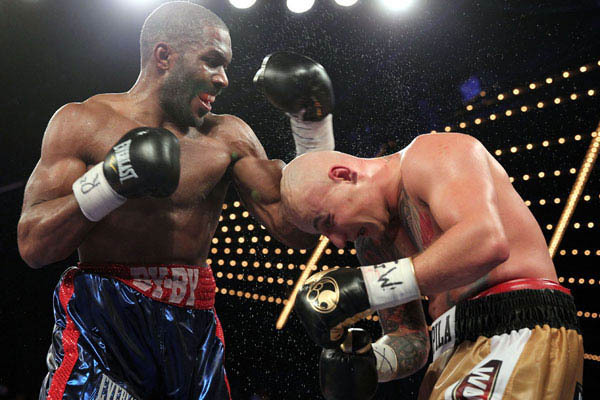 His 10-round struggle with Amir Mansour for the USBA heavyweight championship was an incredible fight between two determined and skilled professionals. However, what Cunningham achieved in that fight set an example for courage, focus, toughness and skill. Just when it appeared that Cunningham had Amir figured out, the murderous-punching Mansour nearly brought the fight to a violent end in round five. Mansour dropped Cunningham twice. The second time it did not appear that Steve would manage to get up. 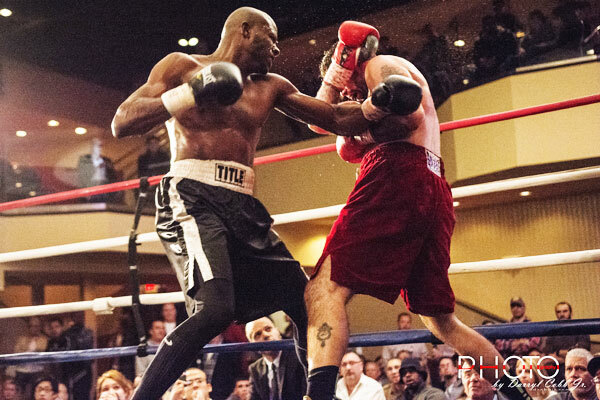 However, Cunningham dug deep and not only got up, he went on to box his way to the USBA title. It was breathtaking and inspiring, and we're still not sure how he did it. It was a performance for the ages and Cunningham's second recognition for "Performance or the Year". This year, Cunningham will add two Awards (Fight & Performance) to the three he's already won in previous years (Fighter (in 2007 & 2010) and Performance (in 2012). 1) Eric Hunter W10 Yenifel Vicente (won USBA featherweight title). 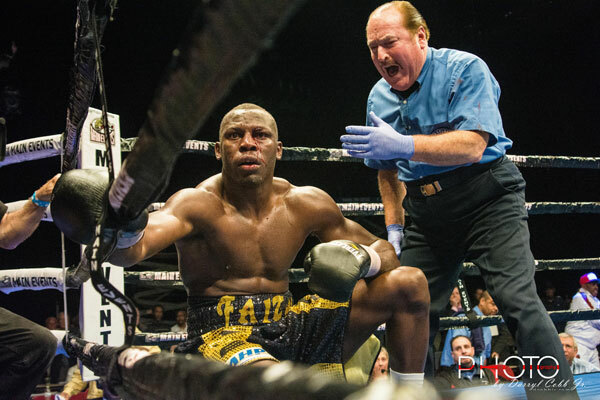 2) Bryant Jennings TKO10 Artur Szpilka. Amir Mansour rebounded from his first professional defeat (vs. Cunningham) with a memorable knock-out of Fred Kassi at the Sands in Bethlehem, PA. The crushing KO was quintessential Mansour, who sent the message that he was still in the hunt for the heavyweight title. His brutal right hook ended the fight the instant it landed and was also declared the best knock-out of the year by Sports Illustrated. Over the course of his career, Mansour has registered many great knockouts. His clubbing of Kassi was one of his best. This year, we will acknowledge Amir's pedigree as one of the area's best punchers and top fighters. Mansour will take home both a Briscoe Medal for the year's best knockouts and a Briscoe Award for the 2014 Fight of the Year. 1) Tony Ferrante KO2 Venroy July. 2) Jason Sosa KO9 Michael Brooks. South Philadelphian Taneal Goyco is a tough journeyman who is better than his 7-8-1, 3 KOs, record indicates. Still, very few gave him much of a chance when he faced off with Kensington's Dennis Hasson, who was 16-1, 6 KOs, on fight night. However, Goyco is used to the underdog role and had pulled the upset a few times before against fighters with better records than his. The fight at the Valley Forge Casino, promoted by Kings Boxing, was a close one, but Goyco dropped Hasson and took the decision after six tough rounds. This is just the second time that the Briscoe Awards has given out an Upset of the Year award. 1) Pedro Martinez W6 Tony Ferrante. 2) Timur Shailezov TKO3 Miguel Cartagena. Other rising Philly stars made an impression in 2014 (especially Karl Dargan and Jesse Hart). 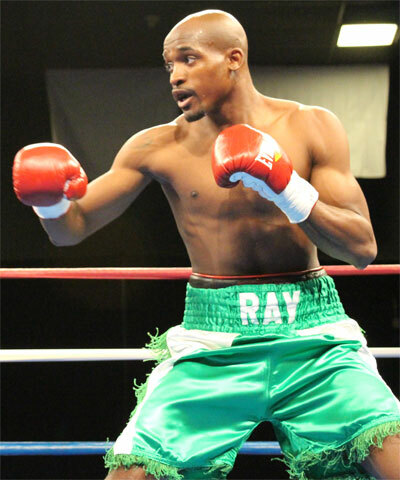 However, Ray Robinson edged them all in the tightest race in all of this year's Briscoe Award categories. 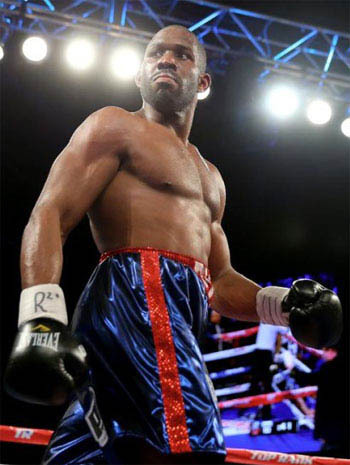 "The New" Ray Robinson improved on his fine 2013 with three impressive wins against Aslanbek Kozaev (W12), George Sosa (TKO4) and Daniel Sostre (TKO6). Robinson picked up the NABO welterweight title twice during the year and appeared to be on the verge finally becoming a true contender. Robinson has reached a new level since teaming with trainer Bozy Ennis and this was never clearer than in 2014. His fine performances and obvious promise during the year earned Robinson recognition as the "2014 Prospect of the Year". 2) Jesse Hart (super middleweight). Joey Dawejko was an outstanding amateur and turned pro in 2009 with much fanfare. However the opening chapter of his professional career was a bumpy ride. After a few years in the game, Dawejko had a winning record but seemed to be going nowhere. By the end of 2013, he was 8-3-2, 3 KOs, but had been stopped in his most recent start. It appeared that the once-promising Dawejko had hit bottom. However, in January of 2014 Dawejko stepped in against veteran Derric Rossy and scored an upset victory, seemingly out of nowhere. He followed that up with another solid points win, this time against undefeated prospect Mark Rideout. On a roll, Dawejko then scored three consecutive first round knockouts that had his confidence at an all time high and his potential completely restored. He finished his 5-0 year with a good-looking record of 13-3-2, 6 KOs. Talk about a breakthrough year! Dawejko turned his career completely around in just 12 months, and was eyeing some big opportunities for the new year as 2014 closed. 2) Jason Sosa (junior lightweight). 2014 was an excellent year for Philly-area rookies. 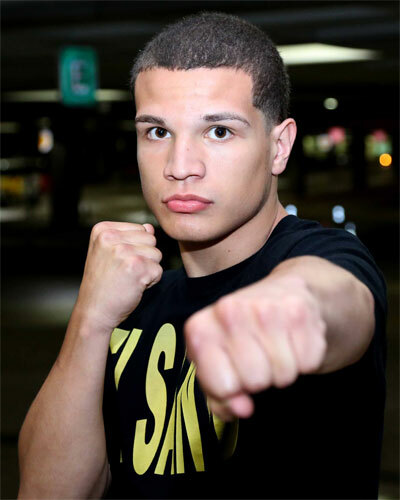 Kyrone Davis (Wilmington) and Avery Sparrow (Philadelphia) both shined in their first ring season, but Philly's Milton Santiago took the award as the "Rookie of the Year" for the excellent 8-0, 3 KOs, stretch that launched his career. Santiago turned pro in February 2014, at the tender age of 17 and never looked back. He stayed busy fighting seven more times. "El Santo" not only faced typical rookie-level comp-etition, he also stretched against a few tough veterans like Travis Thompson, Josh Beeman and William Lorenzo. Although these vets had losing records they also had tough reputations. Santiago passed every test that came his way and promised bigger and better things in the future. And that is exactly what the Rookie of the Year should do. 19 year old super heavy-weight Darmani Rock had an amazing 2014. The year was 12 months loaded with top-level national and international amateur experience. Rock did it all last year. He became the Youth World Champion, the Continental Champion, and the Junior and Youth Open Champion - all before turning 19. He won his Youth World Championship in Bulgaria. Such success has made him a prospect for the 2016 Olympic Games in Brazil. The current amateur scene in and around Philly is very strong, but 2014 belonged to Darmani Rock. This year the Briscoe Awards recognizes perhaps the most exceptional fighter of them all with a special honorary award that defies any regular category. Kennedy Cunningham is not a boxer, but fight she did in 2014. The daughter of Steve and Livvy Cunningham received a heart transplant in December 2014 and fought like a champion all the way. Kennedy showed courage and will, and took life-threatening challenges in stride. She sailed through her herat transplant surgey and displayed more courage and spirit than anyone could ever have imagined. 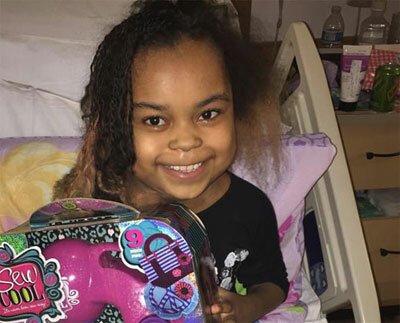 Since the surgery, Kennedy has been thriving. It was an inspiring display from a real fighter and champion - and she was only nine years old at the time! As her father's trainer Brother Naazim Richardson says, "Kennedy is what we want to be when we grow up." For the courage that she showed and for all the inspiration that she provided, Kennedy received a special (red) Briscoe Medal created especially for her. 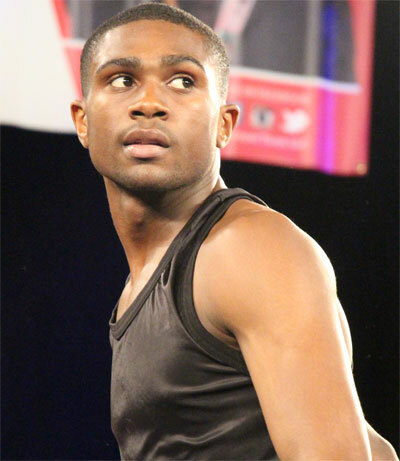 Jaron Ennis is a member of the fighting Ennis family. His father Bozy was a pro boxer and is currently one of the best trainers in the City. Older brothers Derek and Farah are prominent professional Philly boxers. All that talent in one family - and Jaron might just be the best of the bunch. Like the Everett family, the Ennis clan is local boxing royalty, so it is fitting that he be honored by the Everett's. 2015 appears to be Jaron Ennis' year. He's already won three national titles and it's only October. The Olympic trials are coming up, and Ennis is favored to go all the way in that tournament as well.